Tonight, March 2nd 2019, at the Yuengling Centre Tampa, Avril took on local fighter Delaney Owen in a 6 round match up. Avril dominated from start to finish to come away with a Unanimous Victory and judges of scores of 59-54, 60-54 and 60-54. 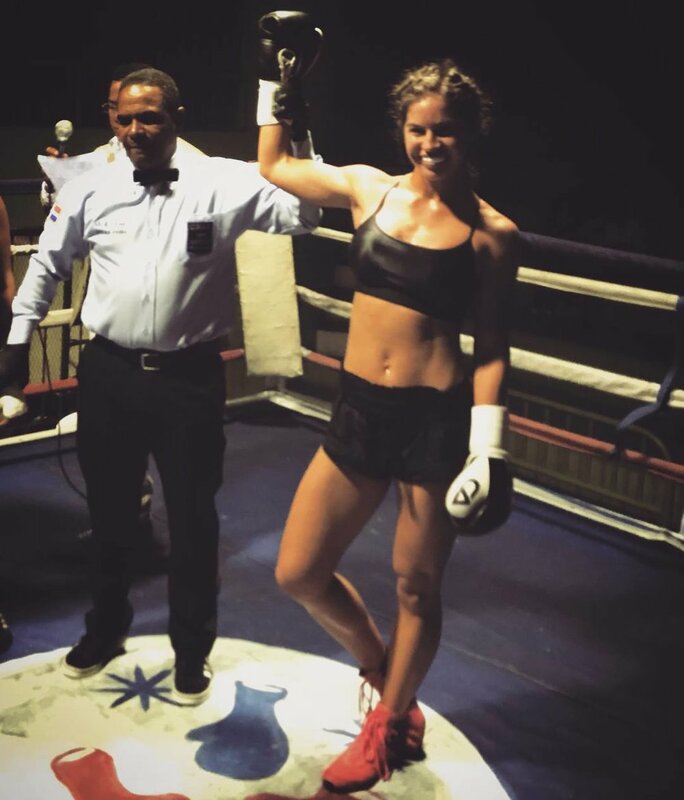 Avril’s professional boxing record now stands at 3 wins (2TKO), 0 losses and 1 draw. Last Sunday in Santa Monica, Avril was invited by Tom Loeffler to be a guest on his live Periscope video with Doug Fisher from Ring TV and Coach Dave. They talk about all the latest news and word on the street in boxing today, as well as Avril’s story in boxing and inspirations. On Saturday 6th October 2018, Avril Mathie of Miami Beach, FL took on Dallas, TX’s Samantha Salazar in the Bantamweight division where they battled to a thrilling six-round matchup for the Women’s ABF Continental Americas 118 pound title. In what was called “without question the fight of the night”, Avril stepped up to take on her most experienced opponent yet and although producing a dominant performance the end result was unfortunately a draw. Scores were 58-56 Mathie, 58-56 Salazar and 57-57. Mathie is 2-0-1 with 2 KO’s, and Salazar’s record is 5-5-1. On 6th October 2018 at the Coliseum in St Petersburg Florida, Avril will fight for her first boxing title, the ABF Continental Americas Bantamweight Title. It will be just her 3rd fight as a professional boxer, thanks to @MTKGlobal. 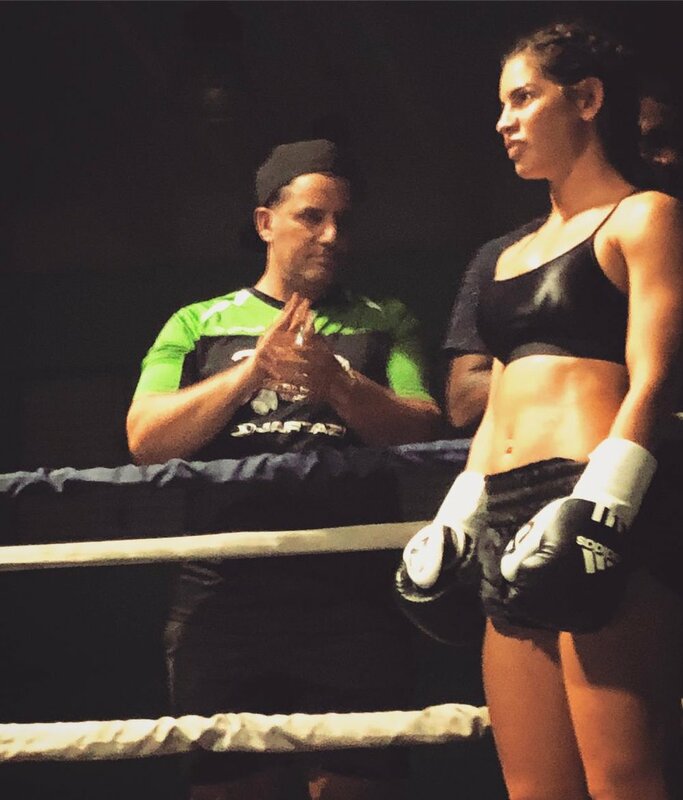 Mathie was previously an award-winning model at elite level but turned to boxing in 2012 and, having begun her professional career in style with two first-round knockouts, is aiming to revolutionise the perception of women in the sport.... Read the full story here. 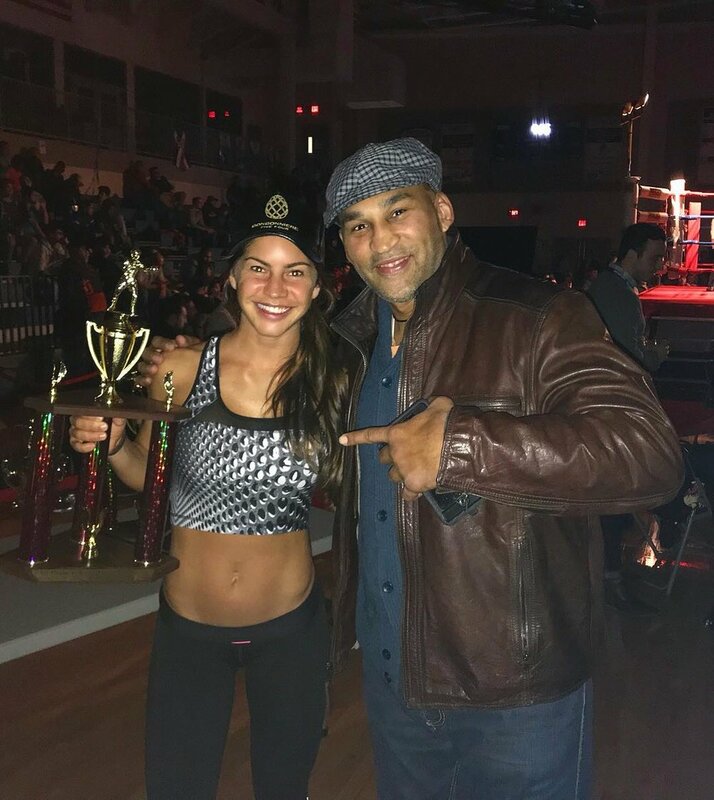 It was a “knockout night” for Miami’s Avril Mathie who won her second boxing match as a pro on Saturday night in Santo Domingo, Dominican Republic. Mathie, in the 118lb weight class and originally from Australia, threw a straight right punch 58 seconds into the first round, knocking out Mirma Elizabeth de la Hoz. For interviews or media requests, please contact Daphne Ortiz, daphne@statementpr.net or 323.864.9890. 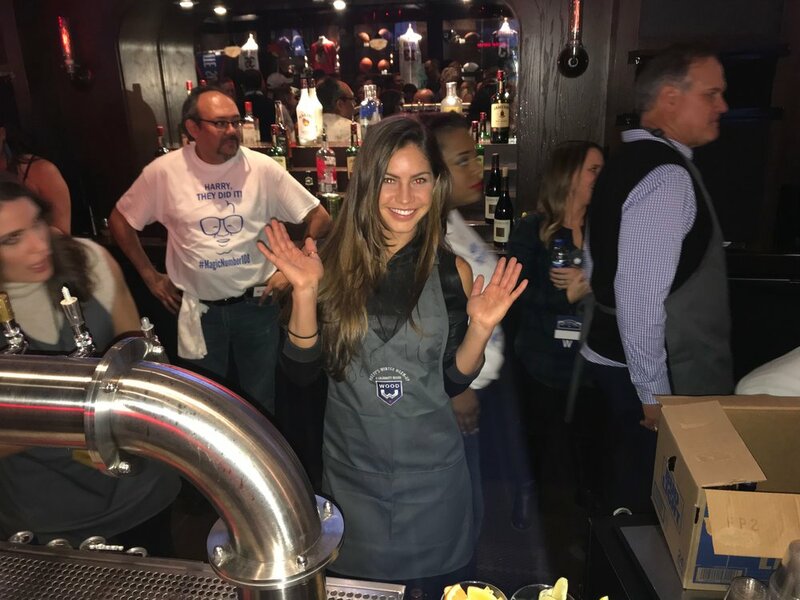 On Friday night, Avril was invited to get behind the bar at Harry Carry's as a Celebrity Bartender along side Chicago local personalities and sportspeople at the Woody's Winter Warmer event. 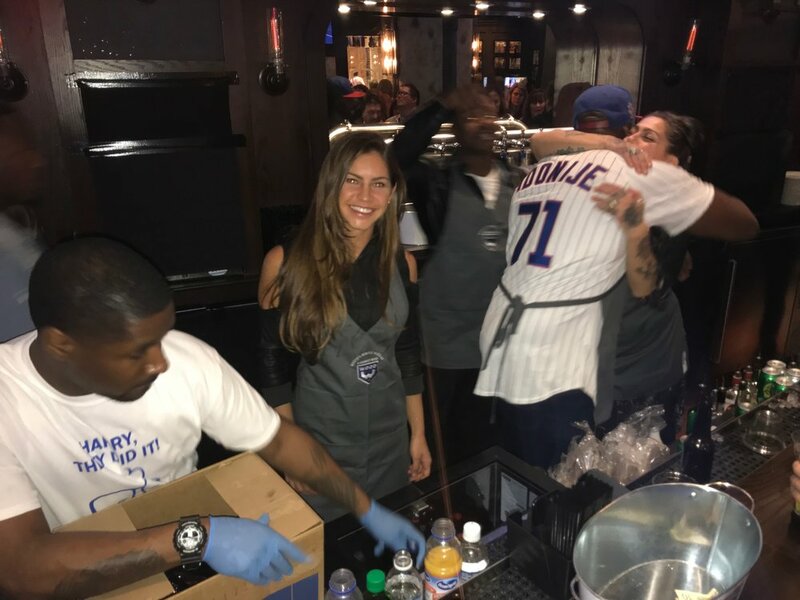 This fun annual event raises money for the Wood Family Foundation supporting the kids of Chicago. On the 17th December 2017, Avril had her first professional boxing fight in Santo Domingo, Dominican Republic. She dominated in the first round to come away with a 1st Round TKO victory. Check out my latest interview with Jon DaBove from The Guy Society on all things fitness, boxing, how I got into modelling, and more about me! So I’ve been excitedly sitting on this one for a while, but today the cat was finally let out of the bag… and Fitness Gurlsannounced me as their newest sponsored athlete! I am beyond ecstatic to be a part of the Fitness Gurls team and can’t wait to share much more with you via Fitness Gurls Magazine and fitnessgurls.com! Want to know a little more about me? Last week I was interviewed by Knucklepit, a mixed martial arts reviews site.